A popular place to watch the latest on the big screen. Once a neglected cinema, Savoy (like many of Colombo’s establishments) has undergone a major facelift. 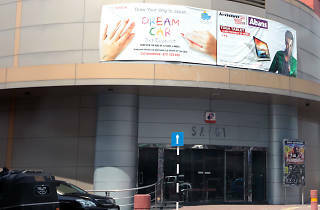 Now comprising two cinemas, Savoy 3D and Savoy 2, this cineplex caters mostly for the local market. While the majority of the screenings are Sinhala movies, Savoy occasionally plays the odd Hollywood/Bollywood blockbuster and The Savoy is very popular so if you want to try a Sinhala flick, we recommend you pre-book a seat.